The Questions add-on is about letting the site members ask each other questions and give answers when someone asks them something in return. This should encourage them to continue conversation and to learn more about each other. 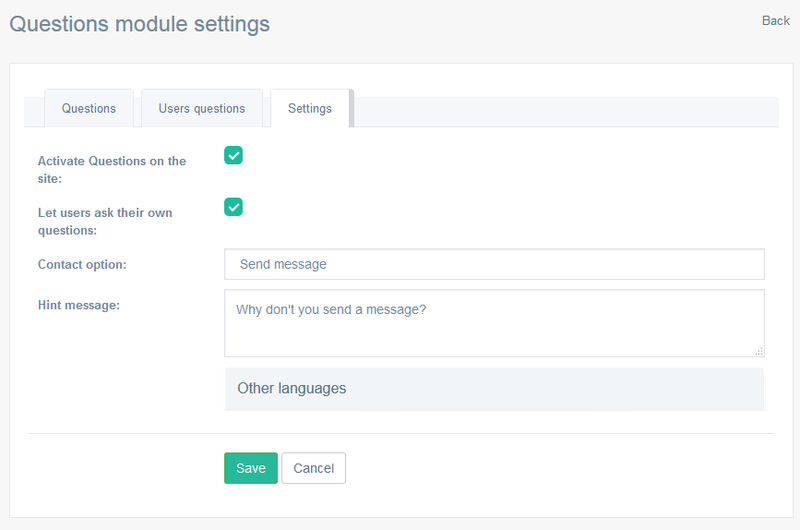 The add-on supports multiple language versions which is especially good when you are targeting a multinational community. The site admin gets to create default questions. Click Add question to create a new question. 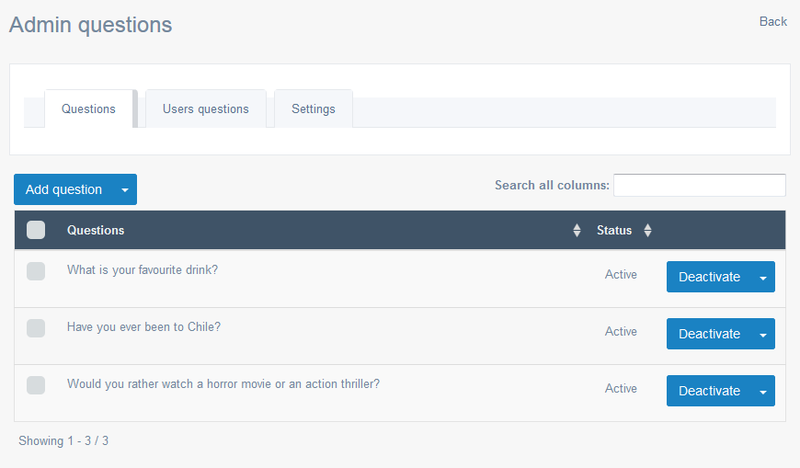 In user mode a member can go to another person’s profile and click Ask question to bring up the menu. 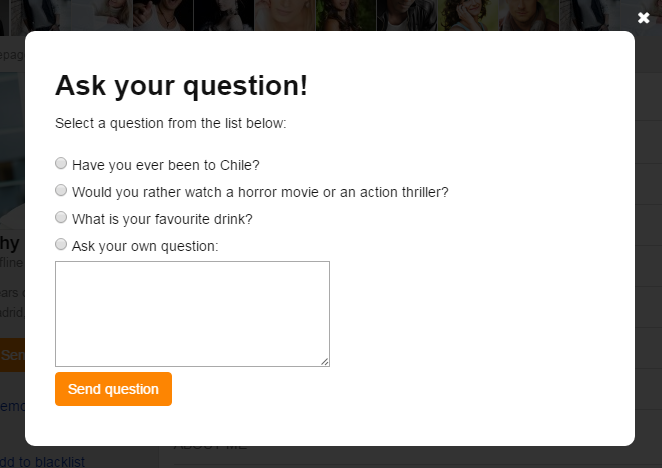 You can only let site users select default questions, or you can let them ask their own. 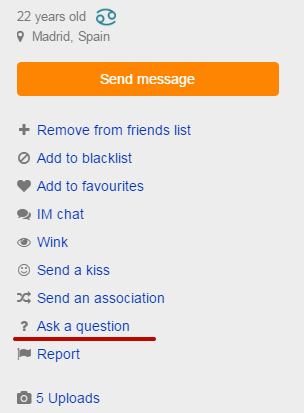 Users’ own questions will be subject to post-moderation as an additional safety measure.